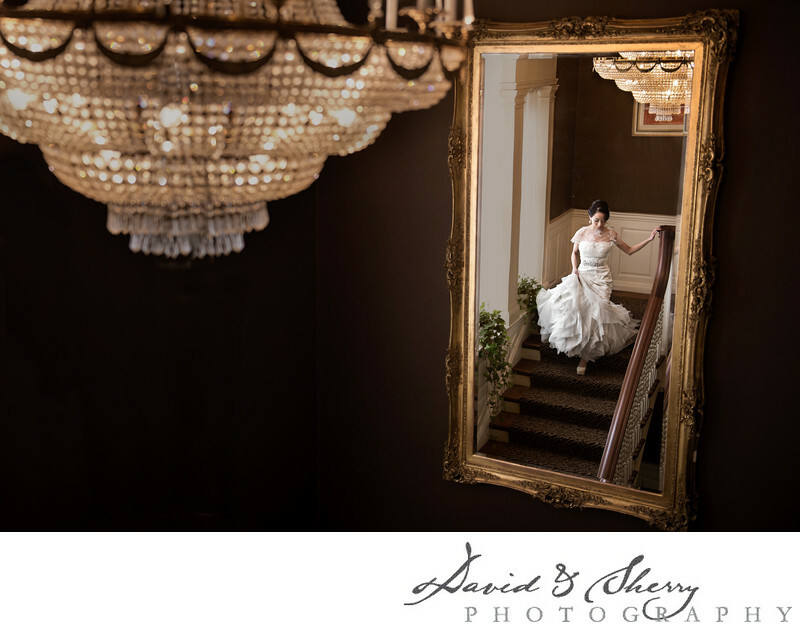 Classic style, luxury, elegance and poise are the words I would use to describe the way Lisa looked in her Vera Wang wedding gown at her lavish ceremony held at Graydon Hall Manor in the Don Valley. The portrait of Lisa standing at the window is one of my favorite shots. The way she is standing looking out into the courtyard where she is about to be married, waiting patiently for the time when she is to be escorted down the aisle by her father. Her hair is done, her dress is laced, her jewelry is in place and the guests are being seaated. It is not long now until she will be Mrs. This is the feel I get from this portrait when I look at it as it tells of so much more story than what is there, it tells of what is to come. Byron & Lisa married at Graydon Hall in the early fall when the leaves were starting to change. Two quite and respectful people who care deeply for each other and for those around them. Their wedding was emotional, and full of laughs. This couple got ready at the Westin Prince Hotel just minutes from the hall which is where I would recommend getting ready if this is your wedding venue. The bridal room has beautiful light filtering in through the door and can accentuate the bride's features and the detail of her dress. This stunning creation by Vera Wang was a form fitting flair dress with beautiful beading and artistic lines was perfect for the bride. Location: 185 Graydon Hall Manor Dr. Toronto, On.